Although you may not think of an ordinary head of green cabbage as a superfood, cabbage is loaded with many health benefits, including being high in vitamins, minerals, antioxidants and fiber. This simple 15-minute detox salad is fabulous for supporting the liver and digestion and satiating your hunger! Feel free to add a protein source of choice to make it a complete meal. Tip: If you cannot have citrus or the orange juice, omit this and substitute water instead. A touch of maple syrup or honey may be used if a sweeter dressing is desired. 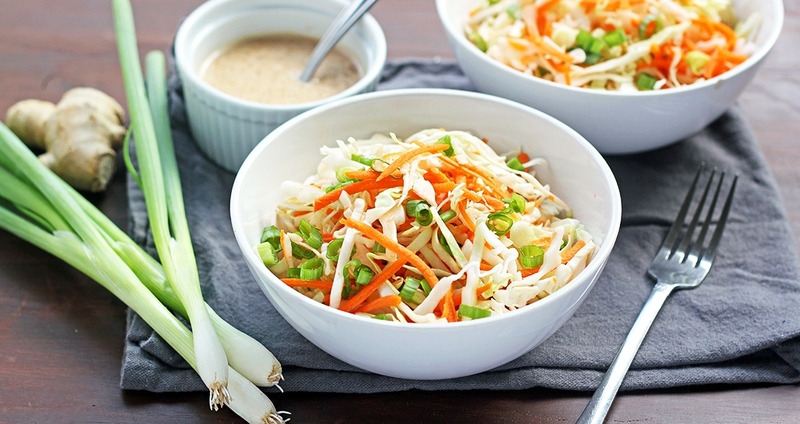 Combine the shredded cabbage, carrots and green onions together in a large bowl. In a separate bowl, combine the ingredients for the dressing. Drizzle the dressing over the cabbage and mix well to combine. Serve immediately.